Whether its pet food or flea and tick medicine, buying pet supplies in bulk saves you money in the long run. Ask your veterinarian if you can buy the largest dosage of routine heartworm pills and topical flea/tick ointments. Buying pet food in bulk is also a smart move when trying to cut costs. Just make sure that your food is staying fresh. Tip: If you find that buying in bulk simply yields too much food, try splitting with a friend or fellow pet owner in the neighborhood. One of the primary things to do to save money is to keep up with vet visits. By scheduling 6 month or yearly check-ups for your pet, it is easier to stay ahead of an illness or injury. Animals are not really good at telling when they are sick, so it is important for you as a pet owner to watch for the signs. Tip: If you have more than one pet that attends the same vet, schedule your appointments for both in the same time slot to save time and money. Instead of buying store brand treats, use kibble or certain human foods as rewards for good behavior. Some pet treats can get costly and in most cases are devoured pretty quickly. The same goes for toys! A lot of toys are made of everyday objects you might have in your home. Old sheets and fabrics can be made into tug-of-war rags and sticks from the backyard are perfect for fetch. Tip: Try baking pet treats at home to save money. If you prefer buying toys, only buy a few and wash and rotate them every few weeks. Pet care services range from grooming, dog walking and pet sitting to dog training and daycare. DIY grooming is the easiest way to cut back on spending. Cutting toe nails, bathing and trimming up your pets fur isn’t too hard as long as they cooperate. Dog walking and sitting services can be crucial if you work long hours or far from home. Do research online and look for deals and reviews for a cheaper place. Tip: Partner with your neighbor or friend who also has a pet to take care of yours while you are away. It will be mutually beneficial and saves a lot of money. Before buying your medicines from your vet, shop around and compare prices online. A lot of time, you can find discount pet pharmacies that are able to fill your prescription at a cheaper price. Tip: During your next visit to the vet, have them send the prescription to your favorite online discount pet supply store to get the meds delivered to your door. Pet insurance is not as expensive as we think it would be. As your pet gets older, having pet insurance is helpful in case of sickness or injury or just to pay for frequent hospital visits. It works just as human health insurance does in that the insurance company pays part of your pet’s health care while you pay the rest. Tip: Look at your pet medical bills over the past few years and see if getting insurance makes sense. Also consider the age of your pet and find out the common health issues for the breed as they grow older. When shopping for leashes, collars, cages, beds or other pet essentials, buy based on durability. The more durable the product is, the longer it will be around and the less times you will need to replace it. Therefore, spending less. Tip: Plan and anticipate your pets needs so you can shop when the store has sales. Sign up for newsletters to get coupon by emails to help you save money. 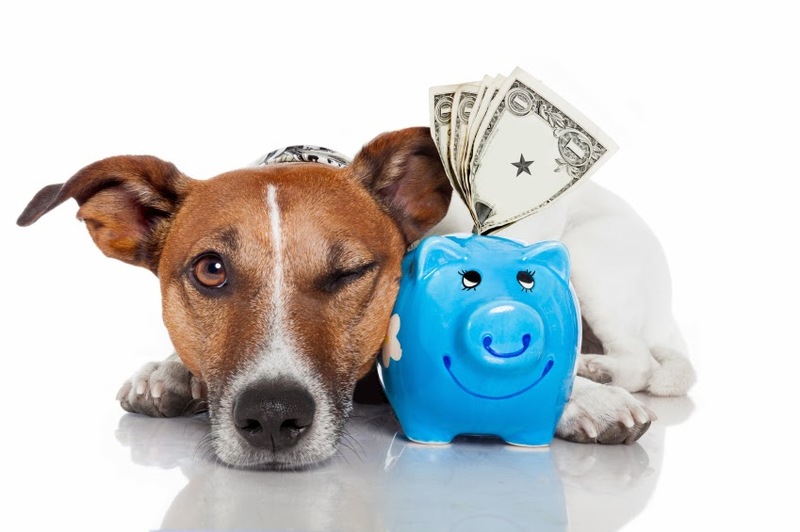 Be proactive about your pet care as saving on the little things is what saves you in the long run. And sometimes the best options are just a click away!